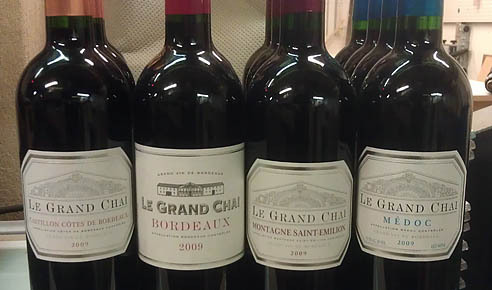 I recently ordered a few cases of mixed Bordeaux from the 2009 vintage, which is being mentioned amongst the great vintages of that region. I haven’t drunk enough wine to make a good comparison, but generally they taste great, like French wine. I’m not educated or skilled enough to describe smells and tastes (other than “barnyard” which is a rather obvious smell and taste sometimes found in French wines that I’ve tasted,) but I can identify a complex pattern of chemosensations that appears unique to French wines, and particularly Bordeaux. …and I like it!